Judge Lee Sarokin served on the United States District Court for the District of New Jersey from 1979 to 1994 and the United States Court of Appeals (3rd Circuit) from 1994 to 1996. Since his retirement he has been engaged in alternate dispute resolution. He was appointed as Distinguished Jurist in Residence at the University of San Diego School of Law and served in that position for 5 years. Judge H. Lee Sarokin wrote over 2,000 written opinions on the federal bench, presided over more than 1,000 cases, and settled approximately 3,000 cases. Before being appointed to the federal bench, he was a litigator for 25 years and served for 7 years as Assistant County Counsel in Union County, N.J. 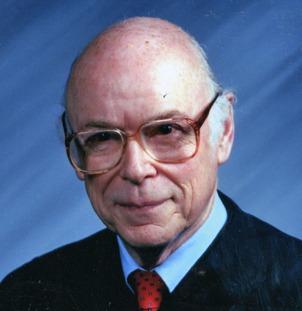 In addition to his judicial duties, Judge H. Lee Sarokin was appointed by Chief Justice Rehnquist to the Judicial Conference Committee on Judicial Improvements; he was twice appointed Chair of the Third Circuit Judicial Conference and was twice selected Chair of National Conference of Federal Judges. He was Chair of the Third Circuit Task Force on Attorneys Fees, which has been widely cited and adopted by the courts. Judge H. Lee Sarokin is a graduate of Dartmouth College (BA 1950) and Harvard Law School (JD 1953).